Looking for your own slice of heavenly real estate, preferably a home (or second home) for sale with gorgeous lake views that happens to be located at the base of a world-class ski resort? Or perhaps you’re just looking for a reliable vacation rental investment opportunity? Welcome to Heavenly Valley, where heaven is just a short stroll from your front door. 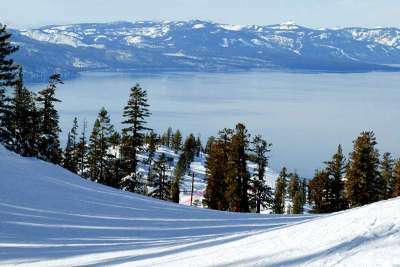 The ski resort itself, Heavenly Mountain, is notable for its distinctly high elevation and versatile slopes, as well as some of the most vibrant après ski scenes in Lake Tahoe. Local attractions include the Shops at Heavenly Village, which offer a diverse variety of storefronts and eateries to suit nearly any taste, and nearby Regan Beach, which features sand volleyball, a large grass area ideal for picnicking, and summer fireworks. Warm-weather enthusiasts are certain to find no shortage of fun activities in the off-season, from zip lines and hot air balloon rides, to hiking, biking, and backpacking. And for the golfing buff, Edgewood’s 18-hole championship course is less than a five minute drive away. Though some of the multi-million dollar estates are hard not to notice, Heavenly Valley is home to a wide range of real estate options beyond simply ski resort luxury homes. Small ski cabins and condos can be had in the $200,000 to $400,000 price range, and this neighborhood’s median and average price points range between $400,000 to $700,000. Most Heavenly Valley homes for sale are adjacent to stretches of lush green pine trees and serene small streams, and boast breathtaking Sierra Nevada Mountains and Lake Tahoe views. 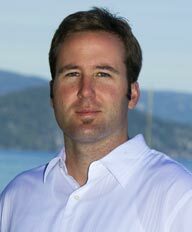 This area is also a popular vacation destination, and Lake Tahoe rental properties are highly sought-after in this area. If you want the best of Lake Tahoe’s natural splendor, fabled ski slopes, and summer fun and attractions, heaven knows Heavenly Valley is the place to be!